Apple’s iPhone X launched late in 2017, testing the waters for what would become Apple’s new style of iPhone. It might’ve been the most expensive iPhone yet at the time, but it brought a premium smartphone experience like no other to the market. It quickly became — at the time — Apple’s best-selling iPhone, and as such, tons of accessories were brought to the market with it. It’s still an excellent iPhone today, and many can save a few hundred dollars by purchasing it over the iPhone XS. However, if you’re going to do that, what are the best must have accessories for iPhone X? Follow along below, and we’ll show you the seven best to go with your new iPhone X. The iPhone X was one of Apple’s first smartphones to feature Qi wireless technology as well. Thanks to the glass back, you can say goodbye to wires and use a wireless charging pad to charge your phone instead. Anker’s PowerWave Wireless Charging Pad is one of the best out there. The design of the PowerWave is fairly standard these days — it’s adorned with a sleek, modern color, featuring a fairly grippy surface. It has the traditional round profile the wireless chargers have. It’s only available in a black / dark blue color, but blends in well with most environments — it’ll look great in any home or office setup! You don’t have to worry about slow charging speeds either! Anker brings you charging speeds similar to charging by wire. There’s a whole 10 watts of charging power delivered to all recent iPhones — including the iPhone X — as well as the Samsung Galaxy family of devices. Other devices that support wireless charging are reduced down to just 5 watts of charging power. Even if you’re using something that doesn’t get the full 10 watts, the charging is still fast. In our own testing, no matter what Qi-equipped phone we put on the charging pad, it still was filled up by morning. Anker has a safety chip built inside, which keeps you protected against electrical problems. The chip provides some great protection against overcharging, voltage spikes, foreign object protection, and so much more. 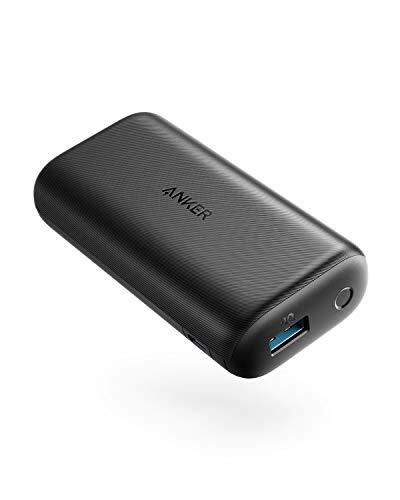 On top of that, Anker says this will work with most cases, too — even cases that are on the thicker side. 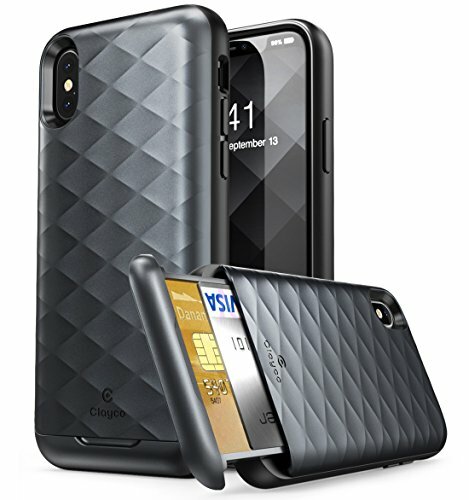 Clayco is up next on our “must have accessories” for the iPhone X. This one is a wallet case, delivering you some excellent protection, as well as room for items that you would normally carry in your wallet. This one is constructed from hard polycarbonate and soft TPU materials for full-spectrum protection. 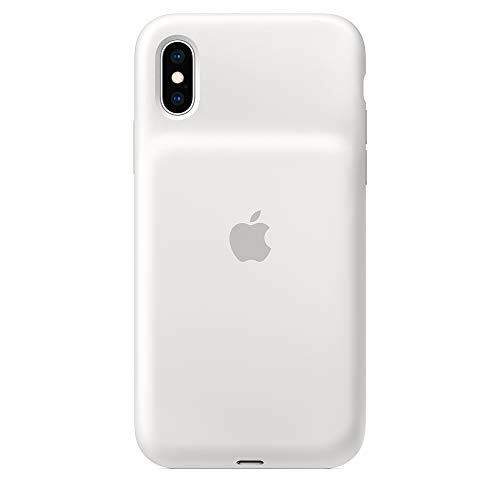 It’s a dual-layer design, with the TPU layer going on the iPhone X first, and then the polycarbonate layer next. This works together to protect your phone from drops, shock, dust, dirt, and even water. In addition, you can pull the bottom out, where you can store two standard size cards, and then a bunch of cash as well. 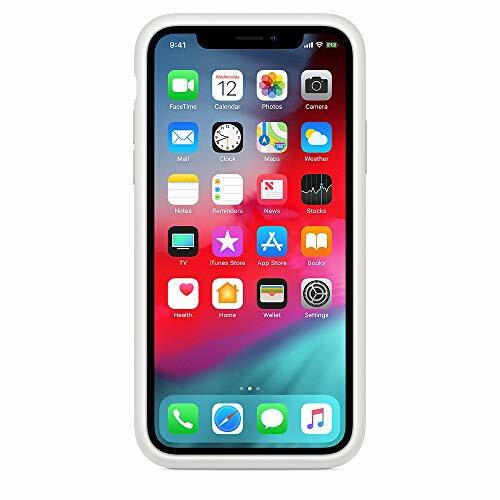 This wallet case only works for the iPhone X, not the iPhone XS as well, like many iPhone X-iPhone XS accessories do. Screens seem to scratch up so easy, and it can be from something as simple as daily use. A great way to protect your iPhone X from that is through Spigen’s own tempered glass screen protector. Made out of tempered glass, it’s easily the best way to go about keeping your screen free from scratches, nicks, and more. There are a few benefits to this, such as keeping your resale value the best that it can be. It also keeps your screen completely clear, no scratches or nicks interrupting reading or viewing. 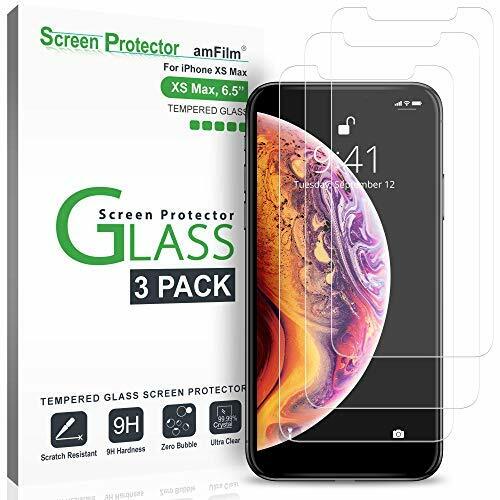 Tempered glass absorbs most scratches and nicks, and on top of that, tempered glass is self-healing, so the screen protector itself stays clear as well. Unlike many protectors on the market, Spigen actually has a 99.9% transparency rating here. That said, you don’t lose any clarity after you apply this screen protector — the Liquid Retina display provides as much clarity as ever. Spigen makes it easy even for the layman to apply the screen protector to the iPhone X. They include what they’re calling an “easy installation tray” for easy application. You’ll line the screen protector up perfectly. Anker’s PowerCore Ultra Small power bank is a power bank that’s worth keeping around. If you’re in a pinch to charge your phone, and not around a wall outlet, this will be an excellent choice. It comes in a small and portable profile, allowing you to easily carry this with you wherever you go. Don’t have room for it in the backpack? No problem! It can fit in your back pocket easily. There’s plenty of capacity inside of this power back as well — a whole 10,000mAh. You can easily charge your iPhone X from dead to full at least four times before having to charge up the PowerCore again. Anker has a warranty included with this power bank as well, giving you 18 months of protection in the event that you come across any defects. Just contact Amazon or Anker directly, and they’ll send you a replacement if you have an issue. Keep in mind that this one doesn’t come with a Lightning cable, so you’ll need to supply one yourself. It’s never good to be looking down at your phone, distracted from the road while driving. 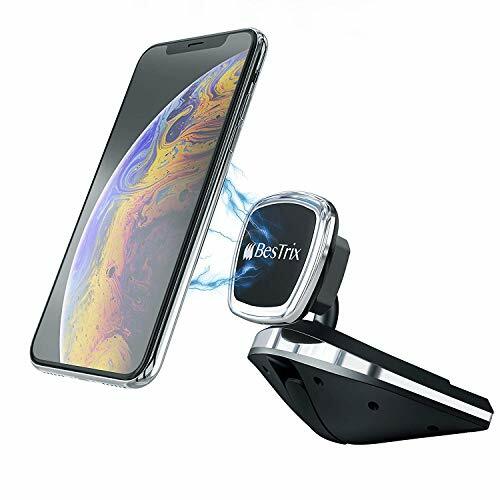 That’s why the Bestrix Magnetic Car Phone Holder is another “must have” phone accessory for the iPhone X. This Car Phone Holder allows you to keep your iPhone X in view to monitor phone calls and GPS navigation while driving. Bestrix is actually one of a kind, as far as car phone holders go. This one actually fits into your car’s CD player slot, which is where it gets its support from. This is different from most, not using any suction cups, screws or adhesives, which means it won’t wreck your dashboard. Bestrix actually throws in three different sizes of CD-player insert tabs, ensuring that this car phone holder works with any vehicle you might own. As the name implies, this one is magnetic, featuring a cradle-less design. It uses magnets to securely hold your phone up, and actually does this really well. Unlike popular belief, the magnets aren’t going to harm your phone. The resistance is so low that it won’t have an affect on your smartphone, despite the rumors and false reports that are around. 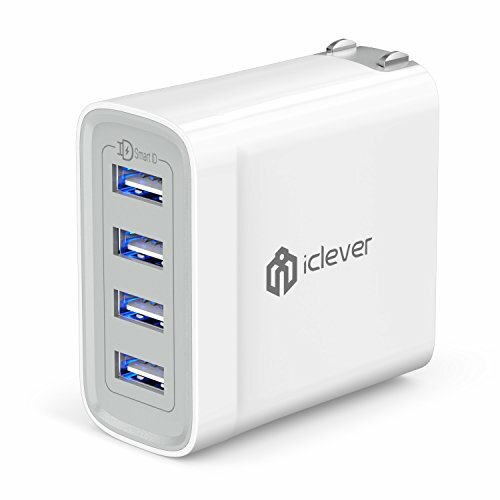 iClever’s own USB Wall Charger Station is another must for the iPhone X. If you’ve ever gotten frustrated with your wall charger because there’s only a single USB port, or because traditional wall charging stations trickle charge, you’ll definitely want to see what iClever is able to do. This one switches things up by providing you with four USB ports, allowing you to charge up to four devices simultaneously, and all at the same speeds. Charging speeds are actually really good with iClever’s Wall Charge Station — their own SmartID technology is able to provide your iPhone X with 2.4 amps per port, bringing the total maximum charge to 8 amps. The iClever Wall Charger Station has a lot of built-in protections to keep itself and your phone protected from electrical harm — you can expect safeguards against overheating, overcurrent, over voltage and short-circuiting. This ensures that the Wall Charging Station stays safe, but also your iPhone X. In addition, iClever offers you an 18-month replacement warranty in the event that you come across any defects. The Apple Smart Battery Case might come up last on our list, but it’s one of the best accessories that you can pick up for your new iPhone X. After all, some folks don’t like carrying around extra accessories, which makes the Anker PowerCore cumbersome, and the Apple Smart Battery Case more ideal. Set your iPhone X in the Smart Battery Case, and you’ll essentially double your battery life for the day. The Apple Smart Battery Case really is a godsend. Apple has some pretty nice statistics for this Smart Battery Case, bringing you up to 33 hours of straight talk time, Internet use up to 21 hours, or straight video playback up to 25 hours. It has about 2,700mAh of battery juice inside the case itself, and like we said, it effectively doubles the life the iPhone X has. As you can see, there are a lot of awesome accessories available for the iPhone X, even today. If you’re looking for a way to keep it well protected, you can’t go wrong with the wallet case. Or, if you want to essentially double your phone’s battery life, Apple’s Smart Battery Case is such a good product. 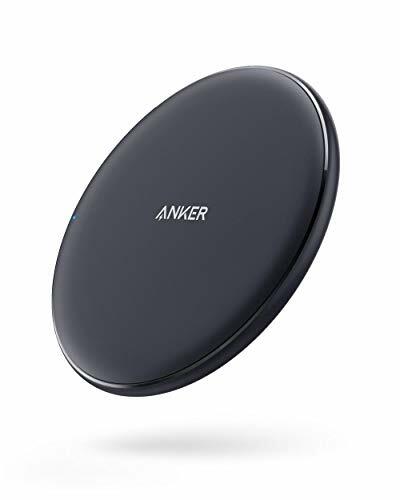 And, if you want to change the way that you charge your smartphone, you really cannot go wrong with the PowerWave wireless charging pad by Anker. Of course, there are countless other accessories on the market. Have you tried on out for the iPhone X? What’s your favorite choice? Let us know in the comments section below!